Although known for their sweetness, figs also have diuretic and laxative properties. Therefore, they can help fight fluid retention and even lose weight. 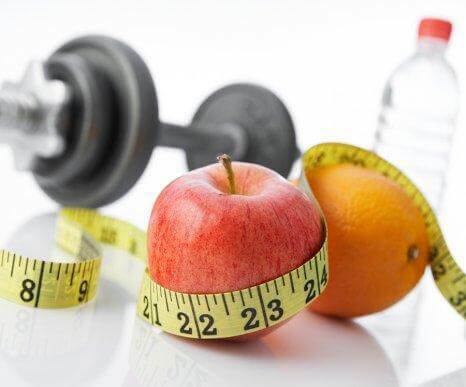 The best way of preventing and combating water retention is to increase your consumption of healthy diuretic foods. Therefore, you won’t need to take medications or even natural remedies to treat swelling, edemas, etc. 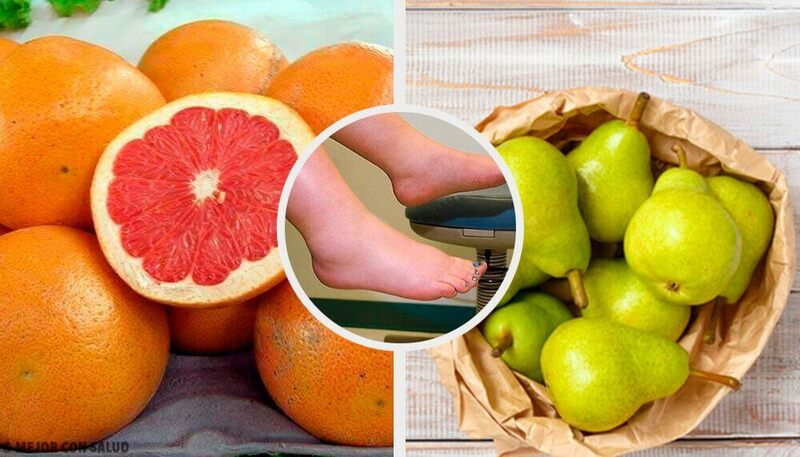 Go ahead and read all about the following 10 best fruit that are good for fighting against water retention naturally. Water retention is the buildup of water in the body’s tissues. This medical condition is the outcome of having an imbalance between the different functions that cause fluid to move inside of the body (known medically as edema). The swelling can affect places like the feet, ankles, legs, belly, or face. Hormonal origin, such as pregnancy, menopause, or menstrual cycle. A sedentary lifestyle: when you remain still for long periods of time, whether sitting or standing. Unhealthy diet such as lots of ready-meals, fried foods, etc. These foods usually contain a lot of salt. A hot climate: The heat, atmospheric pressure, and humidity are all factors which increase water retention. Medications such as corticoids, antihypertensives, or hormone treatments. Some medical conditions such as venous, renal, or cardiac insufficiency, hyperthyroidism, etc. 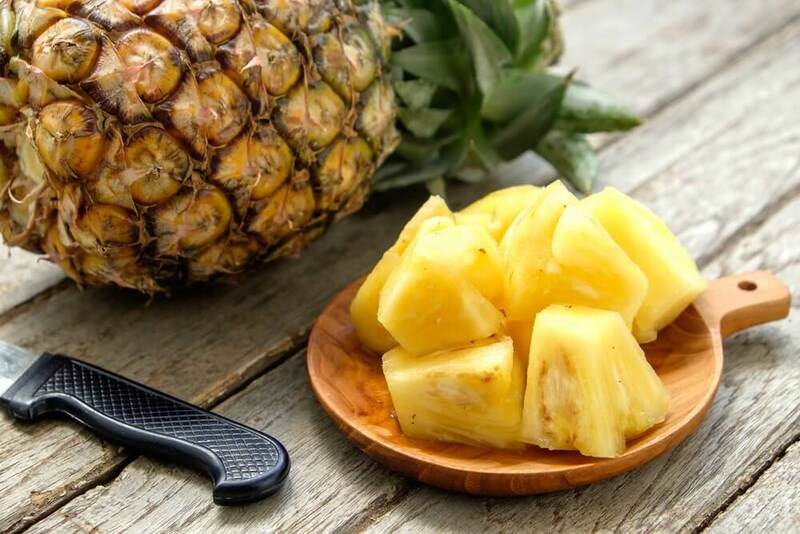 Pineapple is an excellent tropical fruit that is good for dealing with swelling and improving digestion due to the enzymes it contains. It’s very common in weight-loss diets and mixes well with proteins and vegetables. Pears are refreshing, as well as a diuretic, and are perfect for eating at any time of day. They’re a good remedy for hair and the skin because they contain silicon. Their natural sweetness will stop you craving sweets. 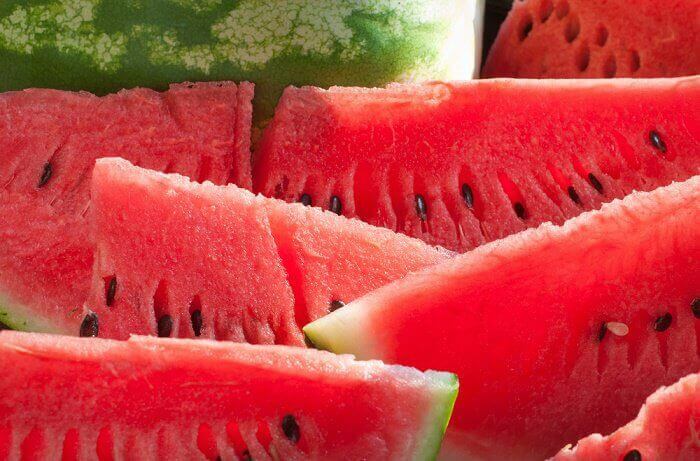 Watermelon is a filling diuretic fruit due to being rich in water and fiber. It’s a great source of vitamins and is high in antioxidants. It’s important to remember to eat it separately from other foods for good digestion. Eat the seeds if you want to get even more benefits from it! Grapefruit doesn’t just help get rid of fluid, but also is really good at getting rid of toxins. It’s a great option for re-balancing your body by improving liver function. 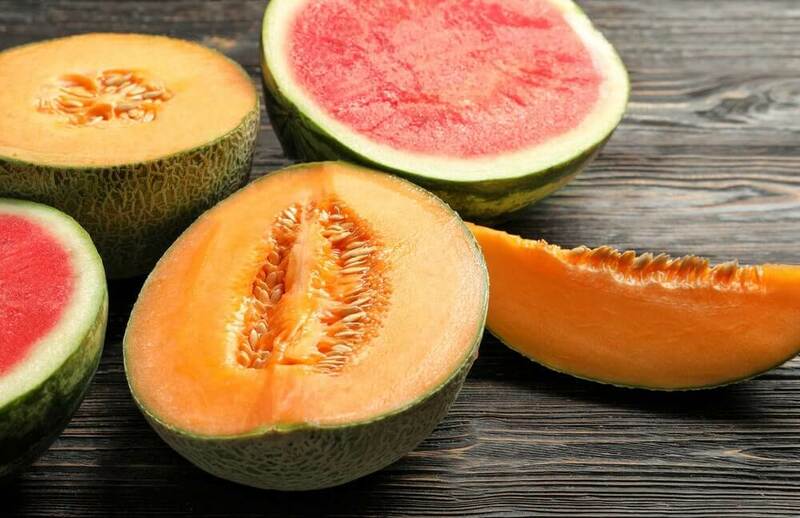 Melons are antioxidant, diuretic, filling, detoxifying, and a laxative. This is especially recommended to be eaten between meals. They’re also a great remedy for preventing heart burn and cardiovascular problems. This delicious tropical fruit is very nutritious and can help to address many medical conditions. 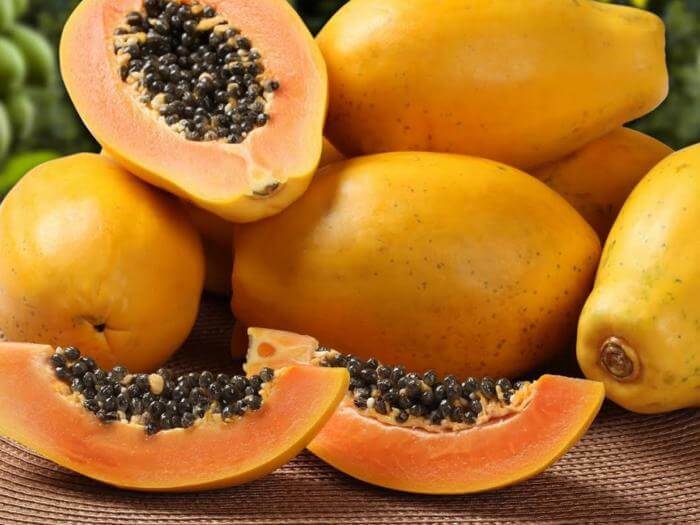 As well as being a diuretic, papaya strengthens your body’s defenses, improves your skin’s health and prevents cardiovascular problems. It’s also known to be very effective in regulating the digestive system, fighting against heartburn, preventing intestinal parasites, and regulating intestinal transit. Mango is an exotic, sweet, delicious fruit that’s high in vitamin and minerals. 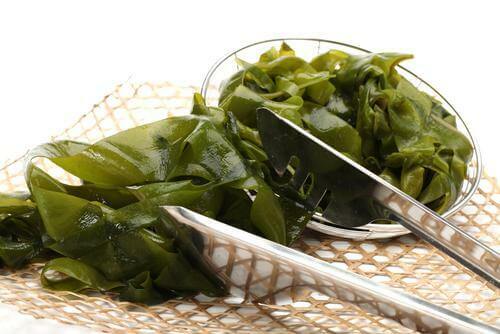 It’s also rich in enzymes, which means it helps digestion and prevents gas and heartburn. Mangos are also diuretic, laxative, and antioxidant. Likewise, because they contain beta-carotenes, they’re also great for your skin. You should eat between 3 and 4 figs per day because they are really healthy, especially for women. 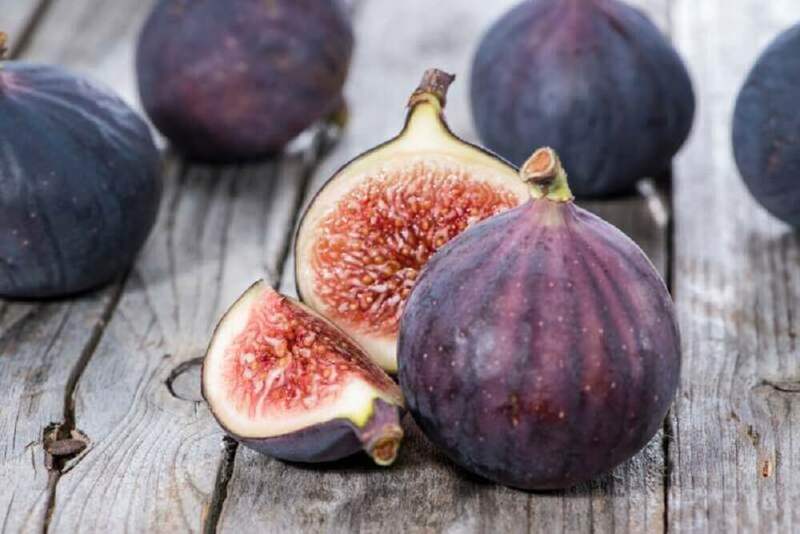 Figs are diuretic and laxative, and are a great source of iron, calcium, phosphorous, and vitamins A, B, and C.
Despite being well-known for their sweetness, figs are really recommended for weight-loss diets. This delicious and aromatic citrus fruit is a diuretic and detoxifying. 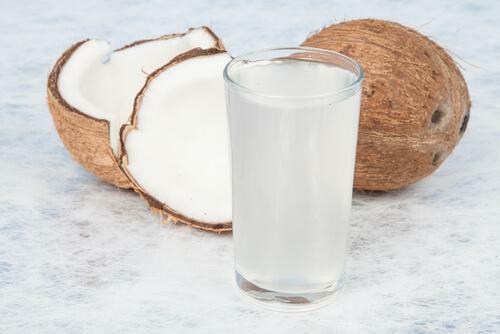 In addition to getting rid of fluids, it can also help the body re-hydrate due to its water and citric acid content. Mandarins also have curative properties for reducing inflammation, alkalising the body, and fighting skin problems.